I’ve reading tons of books on productivity. Mainly, I was inspired to work on improving my productivity after I read the book 4 Hour Work Week. It has been almost a year now practicing on Improving the Productivity and Today I want to share with you some of the best tools/ ways I’ve used that has drastically improved my productivity! This may sound like nuts, but believe me! I’ve created good amount of my time through this! 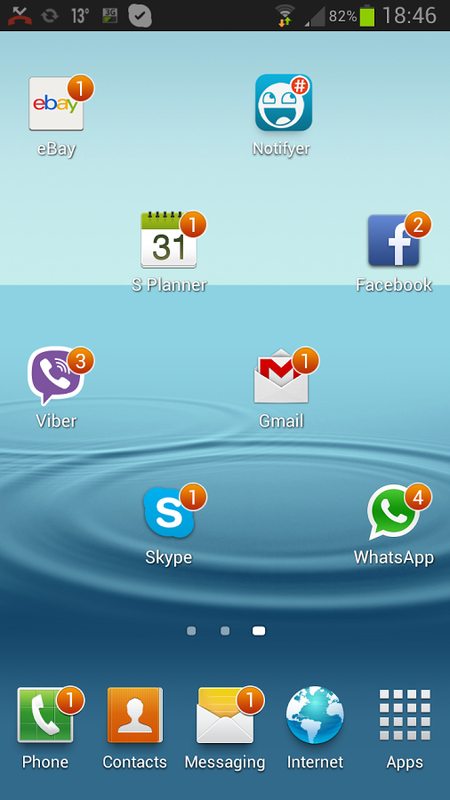 When You Do not have any notifications on your mobile, you are all of a sudden Free! When You Wake Up in the Morning, you almost have ZERO notification to look at. That’s an amazing time you have created for your self! And if you still do not believe me, read the article on Time and learn how notifications are killing your productivity. 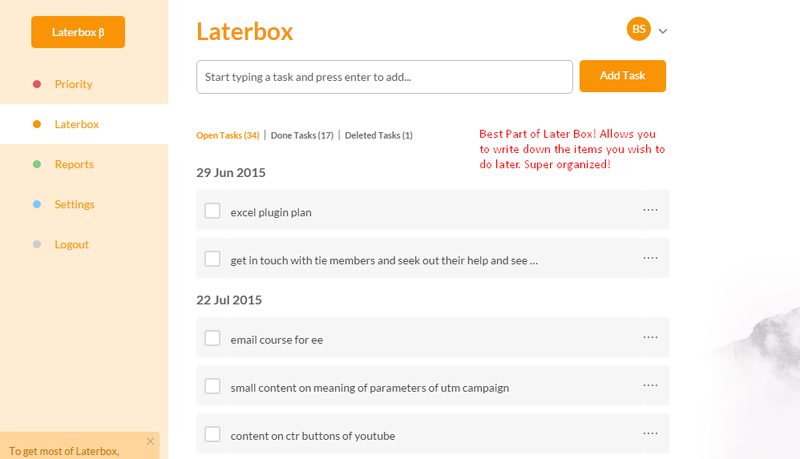 I am using Laterbox for 1 month now and man I am super impressed! It is just what I wanted as a replacement to a regular TO DO List. 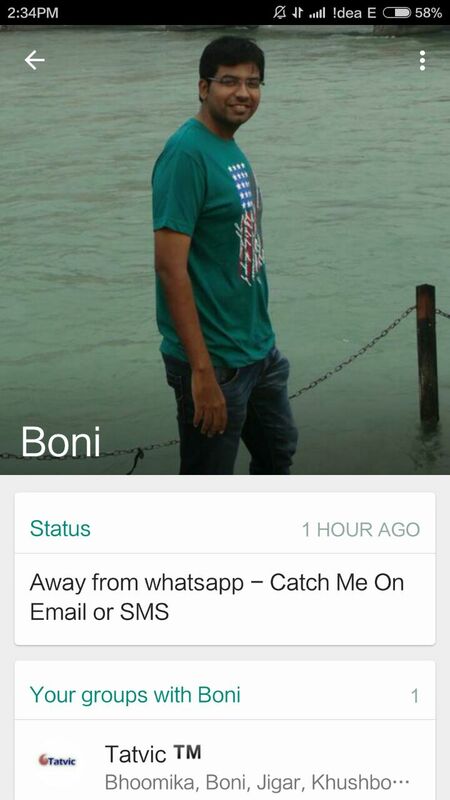 It’s a super awesome feature. Every week when I am making my report, I open up later box and see the activities I wanted to do. And then add them in the current weeks plan! 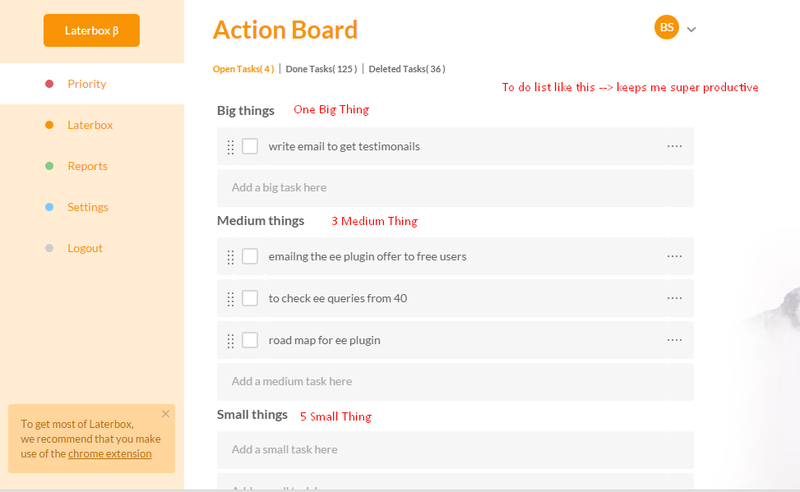 I highly recommend this tool –> For super awesome clarity of work on day to day basis. P.S. Remember they are in Beta, so you may sometime encounter some issues. Anything that I learned from 4 Hour Work Week was Timing Your Activities! You will be amazed when you do that! When I started timing each and every activity, It just open my eyes that I take almost 3 hours to complete a weekly report. Earlier (for almost 6 months), I thought it takes me only an hour to complete the report! Since I discovered that I need more time for the report, I started reducing the activities on that day. Additionally, I delegated some part of the report to my colleague since that was easy and an opportunity to learn for him. By timing my activity, I not only increased my allotted time for the activity but I also delegated a part of my task. Similarly, When I Schedule tweets/ post on our social media channels, I always thought it takes me 5-10 mins. So my suggestion for you guys is to time you activity! 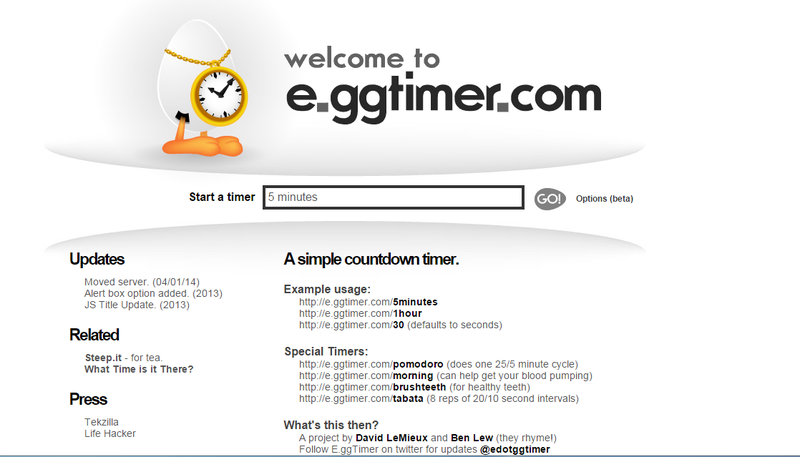 Go to eggtimer, Enter the time you think the task will take to complete and start the timer. Keep that tab away from you view so that you are not distracted. You will either finish before the time or the eggtimer will notify you that your time has expired! This exercise is a kicker, if you can dominant this –>You will free your time 10x or Increase your results 10x. Since the results are so high, the exercise in itself is super tough to perform. Sometimes you will have take actions that you may think are nuts. 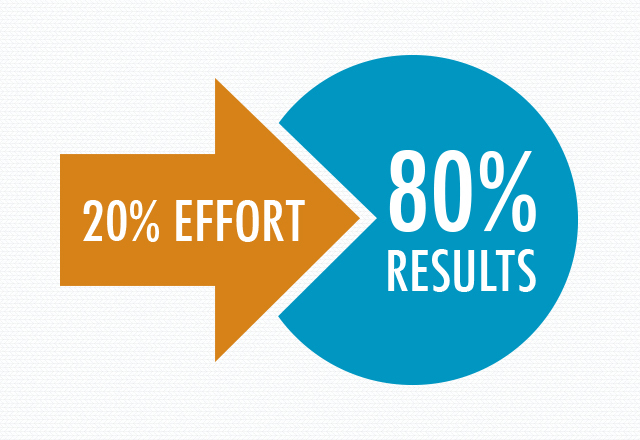 20 percent of the work activities brings 80 percent of the results! TLdr;– 1 Marketing Activity out of total 4, brings 70 percent of the results. That is rule of inequality or the 80/20 law. You use it to get rid of low performing activities to free up your time and replace it with new high performing activities. I work with a Web Analytics Agency where we do Webinars every month! You can say that 70 percent of our registrations comes from Email Marketing! While Less than 33% percent comes from Social Media Promotion & Infleuncer outreaching combined. Infleuncer Outreaching, Social Media Promotion & others (7 – 8 hours) – Includes creating a list of influencers, emailing or tweeting them, Sharing webinar on Reddit/Inbound, G+, Linkedin & fb groups. Also sharing it regularly on our social media platforms. Tweeting to authors and random people who have shown interest in the topic in the past. If you see my time allotment – I spent almost equal amount of time on each activity. Still, Email marketing brings more registrations (34 % more registrations). – This is the law of inequality or the 80/20 principle. That means, I can simply reduce time spent on social media promotion, random tweets and email or even influencer outreaching to some extend and replace it with Email Marketing. You See by Applying the 80/ 20 Rule, You Allocate More Time to the Activity that is working for you! Doing so, it is obvious that your conversions will increased in less time. After 3 – 4 pomodri, I take a big break of around 20 – 30 minutes. Note: Promodro does says that divide your task at 25 minutes, I however set my first couple of hours at 50 mins, since I know I am super active/ productive in the morning and hence do not mind keeping a longer duration before I take a break. After lunch when my energy level are down, I start using the 25 mins duration. Many people come and ask me – How do you manage so many things? Here’s how you can do that too. And I thought you forgot Tim. Man, I so need to get back to this schedule. Thanks again for sharing real life examples, helps keeping things in shape within the organization.